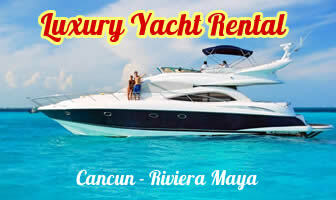 In Playa del Carmen there are two bus stations, the first and oldest is the one located in the center on Fifth Avenue and Juarez Avenue, just steps from the ferry dock to Cozumelcrossing. 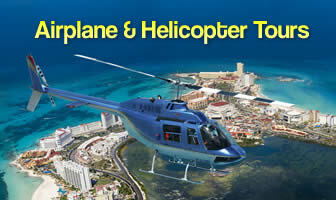 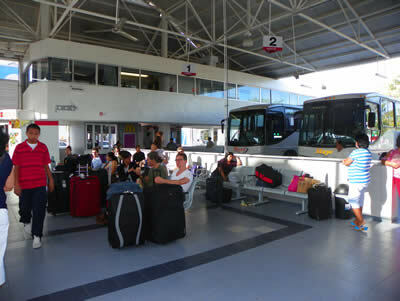 Buses depart from this station to Cancun every 15 minutes and to Cancun airport every 60 minutes. 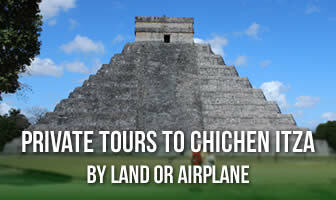 You can also take the bus here to go to the Riviera Maya points as Puerto Aventuras, Akumal, Tulum and more towards the south (Costa Maya) and Mahahual. 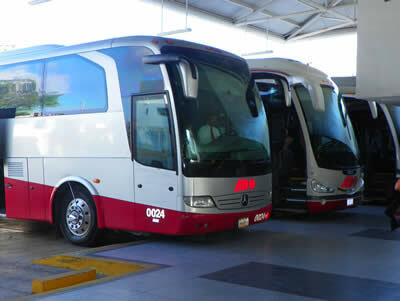 In the Tenth Avenue is another station where buses depart to more distant cities such as Merida, Campeche, and other cities of the Yucatan Peninsula and other Mexican states.